By the second deadline for stand assignment, more than 800 companies have confirmed their participation in PLAST 2018 – International Exhibition for the Plastics and Rubber Industries scheduled in Milan from 29 May to 1 June 2018. The organizers have thus recorded a 6% increase in the assigned area with respect to the same deadline for PLAST 2015. There has also been a significant increase in the number of new exhibitors setting up stands at PLAST for the first time or else returning after being absent for some time: +10%. These heartening statistics seem to affirm the success of the industry strategy known as The Innovation Alliance, initiated by the organizer of PLAST 2018, PROMAPLAST srl, together with those of IPACK-IMA, MEAT-TECH, PRINT4ALL and INTRALOGISTICA ITALIA. This Alliance will stage an exhibition that occupies all the halls of the FieraMilano fairgrounds. 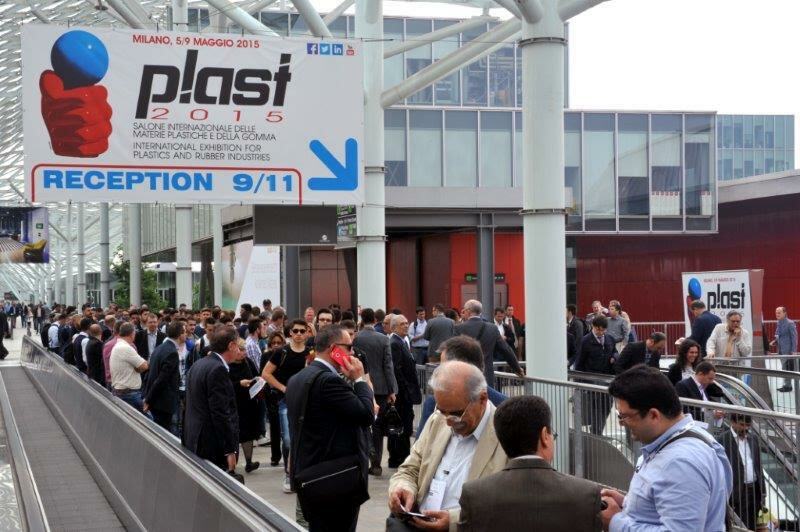 The upcoming edition of PLAST will also feature three satellite fairs dedicated to three industries of excellence in the sector: RUBBER, 3D PLAST (3D printing and related technologies) and PLAST-MAT (innovative plastics). 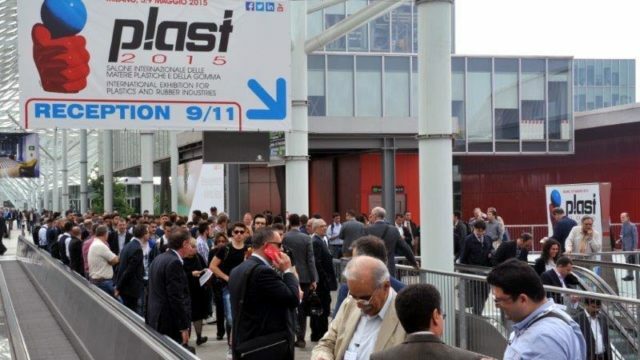 The excellent trend in registration for PLAST 2018 reflects an equally positive economic situation in the sector, as highlighted by the survey conducted in March by ASSOCOMAPLAST – the Italian Plastics and Rubber Processing Machinery and Moulds Manufacturers’ Association. Indeed, 44% of respondents indicated an increase in orders with respect to both February 2017 and March 2016. This trend may be attributed to the recovery in domestic demand and to ongoing improvement in sales abroad. In 2016, exports increased by 1.7% to approach the 3 billion euro mark, establishing a new all-time record. Companies have until 30 June 2017 to sign up for PLAST 2018 and be included in the first group of stand assignments, thus ensuring themselves a place in the hall representing their particular industry or segment. After that date exhibitors will only be admitted if there are any remaining unreserved spaces. In the meantime, the PLAST organizational office is continuing its promotional programme. After taking part in CHINAPLAS (Guangzhou, 16-19 May), PLASTPOL (Kielce, 23-26 May), and FIP (Lyon, 13-16 June) activities will intensify in the autumn with a presence at major tradeshows around the world, from Thailand to Iran, from Spain to Mexico, and from Turkey to Indonesia. In parallel, an advertising campaign will begin in the major national and international technical media addressed particularly to potential visitors.